DECEMBER 2007 -- The 1,000 Friends of Connecticut recently held it’s first statewide Smart Growth Conference at Southern Connecticut State University in New Haven. The main theme of the conference was that Connecticut will continue to grow, whether we like it or not. The only questions are how do we want it to grow and how can we control the growth to achieve whatever we want. This is an area where both rural and urban people have a common interest. The more people who choose to live in the cities, the less land in the rural areas that will be required for housing, shopping and community services. Smart growth will affect many different aspects of our lives, some of which the Grange has taken very strong stands on and others where the Grange has never taken a stand. One of the major concerns is the number of young adults who are moving out of Connecticut to pursue their careers. On a percentage basis, Connecticut has lost more people in the 25 to 34-year-old bracket since 1990 than any other state in the nation. Most of those who are leaving are the ones with more education, which begs the question of who will take over our businesses and industries as the present leaders retire. Jeff Blodgett, Vice President for Research at the Connecticut Economic Resource Center, said “[Connecticut is] the only state in the union to experience negative business growth.” There are less businesses in Connecticut today than there were in 1990. The cost of living for families and the cost of doing business are very significant causes for the loss of both people and businesses. 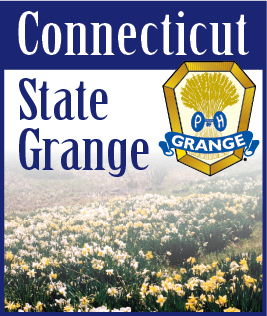 The Grange has not taken a position on the loss of young adults and businesses, but a look at the losses in the number of Granges and Grange members in Connecticut confirms Blodgett’s comments. But despite these losses, Connecticut’s population continues to grow. Our increasing population means there is a need for more housing, jobs, stores and services. Fifty years ago the suburbs were considered the best of both worlds, urban and rural. Today many young adults who grew up in the suburbs see them as the worst of both worlds. They want to either live in the city, with all the aspects of city life close at hand, or they want to live in the country, where they can have a small farm with both crops and animals. Years ago many people lived in apartments located above small retail stores where they could walk to whatever they needed or wanted. That lifestyle is coming back, with the recent opening of Blue Black Square in West Hartford and a somewhat similar proposal for Steel Point in Bridgeport. Years ago other people chose to live on small farms where they were nearly self-sufficient and raised a “cash crop” to be sold so they could buy what little they could not produce themselves. Today the Department of Agriculture has a referral service to connect people who want a small farm to operate with those who have land to sell or rent. The New England Small Farm Institute offers training and guidance to those who want to operate a farm, but lack the needed knowledge and skills. Throughout history, Connecticut has had a strong commitment to local control of just about everything. We did away with county government because we did not want regional government. We object every time a new law or regulation requires our local government to do something a certain way or allows the state to have more control over what happens in our towns. In other parts of our nation people favor the larger scale planning of county and regional governments. They point out the efficiency of larger units of government and the excessive costs of duplicating services in numerous small towns. The advocates for smart growth are trying to take all these diverse opinions into consideration as they develop plans for the future of Connecticut. They intend to lobby for their plans to make Connecticut a place where people will want and can afford to live and work. But will their plans take into account your personal desires or those of your Grange? That all depends on whether or not they hear from you. The Department of Economic Development has scheduled nine hearings in December and January to gather public input towards developing a plan for future growth in Connecticut. It is time for the Grange to be heard. Thanks to Heidi Green, President of 1,000 Friends of Connecticut and Joan McDonald, Commissioner of Economic and Community Development, for the material in this article.